Carbotech XP8™ is the first in the XP™ racing compounds. The XP8™ has better initial bite at race temperatures, higher coefficient of friction, excellent modulation and release characteristics compared to the AX6™. The XP8™ offers good fade resistance, rotor friendliness with 100% non-corrosive dust. 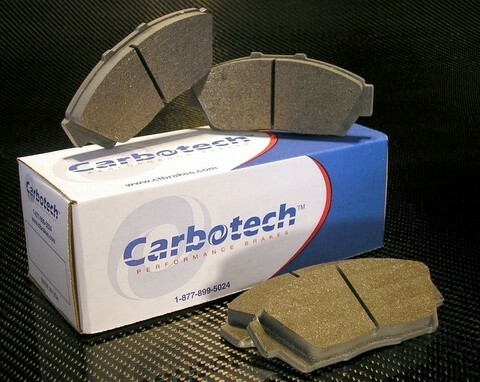 Excellent as a front brake pad for lighter ITA, ITB, ITC, SRF, H4, H5, and other cars that weigh less than 2,400lbs. Perfect for the novice track day (HPDE) for use with any tire, and can still be driven safely to and from the track. Although possible, Carbotech XP8™ is not recommended as a daily driven street pad due to elevated levels of dust and noise.